Cartridges are an integral part of the turntable. 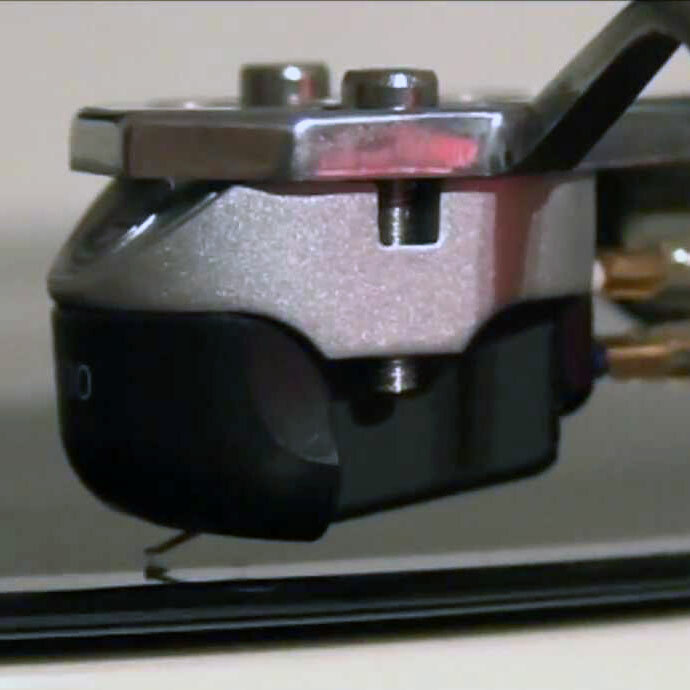 Cartridge is connected to the end of the turntable tonearm. Some cartridges are designed with the ability to adjust the weight. Extra weight can be an interesting for a DJs who need more pressure on the record as the needle would not skip during scratching. 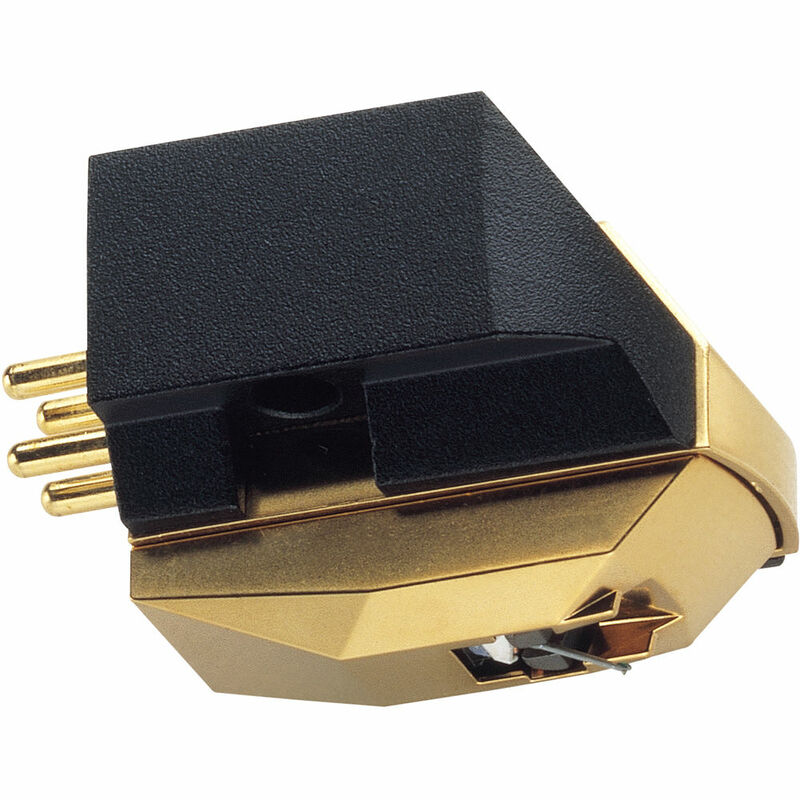 In the following text we will choose the best phono cartridge for your need among the many phono cartridge reviews. There are two types of vinyl cartridge. 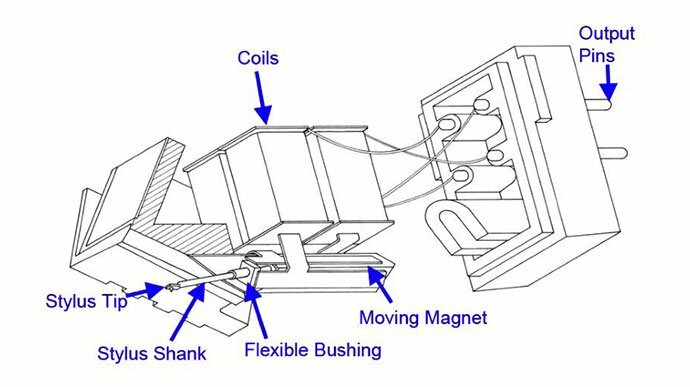 MM – moving magnet and MC – moving coil. These two types of cartridges have a different design and performance. It all starts with a tonearm or with a needle on the cartridge. Tonearm travels over the grooves on the record by moving horizontally and vertically, following small fluctuations which represents a music on the record. During his trip the needle creates a weak audio signal generated by the proximity of the magnet and the coil. 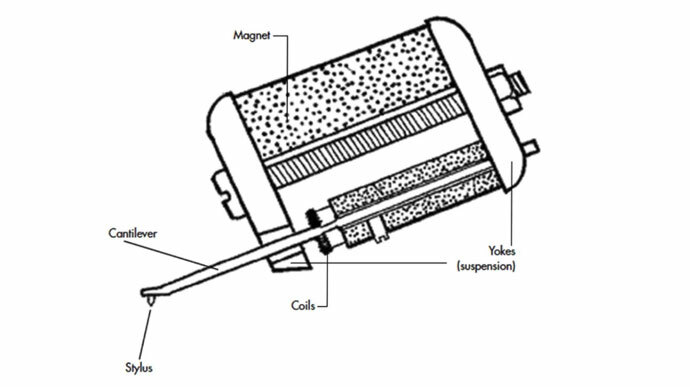 All cartridges have a magnet and coil – the difference is created in relation to their location. Cartridge with moving magnet (MM cartridge) is used very often. It has two magnets at the end of the stylus (one for each channel). During the movement of the needle magnets transmit waves on the coil which is located in the body of the cartridge generating a small voltage during this process. Advantage of MM cartridges is in generating a strong output signal, which allows them to be compatible with any phono input on the stereo system. Most MM cartridge has a removable needle giving people greater opportunity to replace a needle if it breaks or wears. Disadvantage of MM cartridges is that magnets increase the weight of the stylus, which is still reflected in their ability to rapidly cross the engraved grooves on the record. This lack of speed affects the finesse in the reproduction of the sound track. Cartridges is designed opposite to MM cartridges. Two coils are located on top of the stylus. The coils are smaller than magnets and much easier so that the stylus is more agile than that of MM cartridges. Generally MC stylus better follows the grooves on gramophone records due to less weight. Stylus on these cartridges gives more precise and better quality playback of recorded sound. One of the disadvantages of MC cartridges is a low output signal so that these cartridges requires an additional secondary preamplifier or so called phono preamp. This preamp gives sufficient power to output signal so that it can be attached to the phono input stereo system. 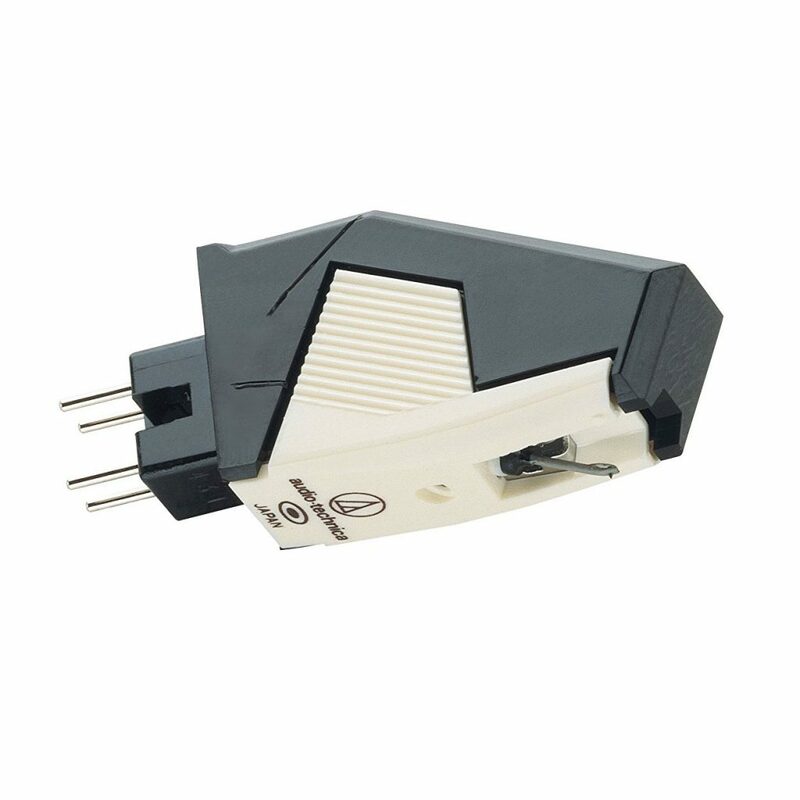 Some MC cartridges can provide higher output and are compatible with phono inputs but their output power is weaker than that on MM cartridges. In this case the stylus can not be independently replaced but only with the intervention of the manufacturer so it may be necessary to dismantle the whole stylus to replace broken one. Both types of cartridges offers a good sound quality but if you require top performance then choose MC cartridges. It can be concluded by these percents that the cartridges affects by 40% (with the exception of interconnect cable and phono preamp) in the overall sound of the turntable, and it is most delicate part of a turntable and has fastest wearing, if it is defective it can damage your records etc. For all these reasons, as we have often repeated, we do not recommend buying used cartridges. 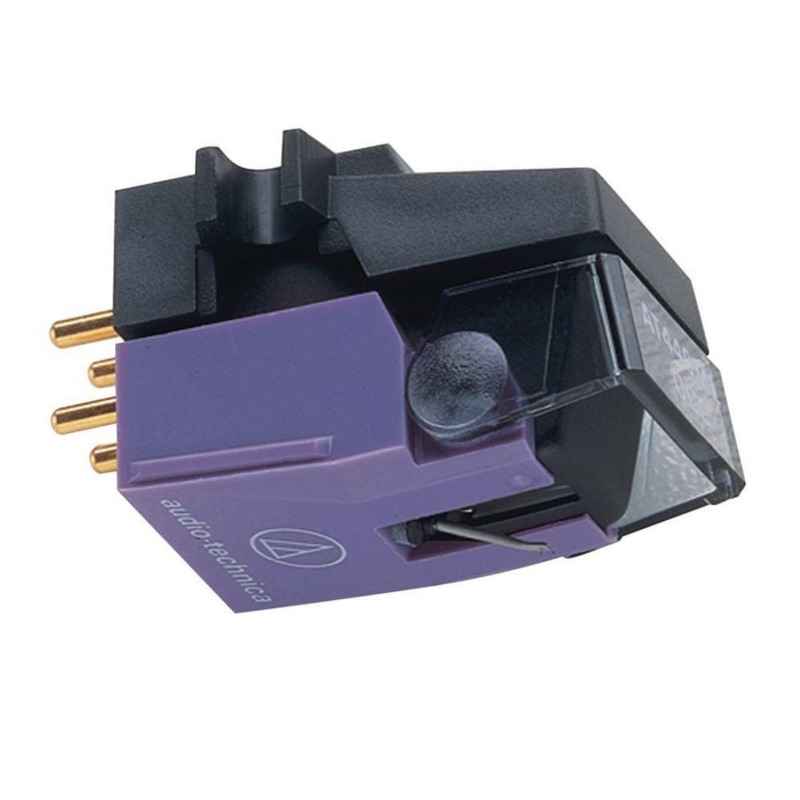 Therefore, we here refer only to buying a new phono cartridge in the domestic market. The optimal tracking force is in these cartridges ranges from 2-5 grams, which is too much for everyday home listening panel, because the higher the tracking force, the faster will record wear. Buying a turntable cartridge can also be done online, where the choice is far wider and the prices are often lower. When buying over the Internet, customers often fly into the purchase of so-called NOS (New Old Stock) cartridges, or those that have stood for years in the shop/warehouse and are never sold, but are believed to be new. When buying NOS cartridges there is a high (50%) chance to not function properly, although it is new. There are several reasons for this: the collapsed suspension of a cantilever due to aging of rubber, excessive influence of the elements (moisture, temperature changes, etc. ), the oxidation of the contact/coil. It all depends on how much the seller has followed the prescribed storage conditions. Selection of manufacturers is reduced to Audio Technica, Clearaudio, Grado, Ortofon and Goldring . 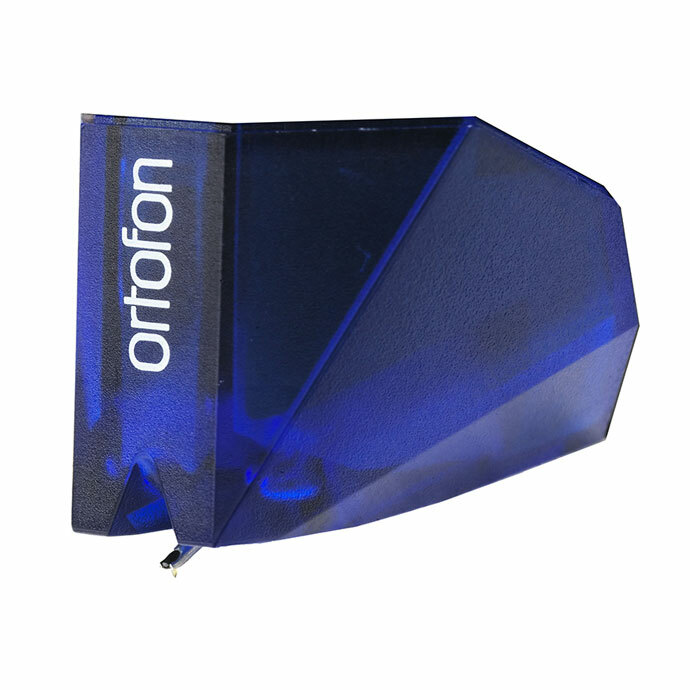 Here we do not take into account the DJ series Ortofon Stanton, which is available at retailers musical instruments and professional music equipment. – In the box should be located a set of screws for mounting and guidance, and for the better (and more expensive) cartridges also a tool kit for mounting the head, and these are usually small screwdrivers, Allen key, a small key, brushes, etc ..
* Hint: Before you complete the purchase with the seller, just browse the Internet to see how this cartridge looks when packed. With Goldring, Nagaoka, Ortofon, Shure and Stanton, one of the company which has been supplying cartridges is also Audio Technica. Many global manufacturers of turntables for years have different versions of Audio Technica cartridge on its turntables (Akai, Dual, Linn, ….). 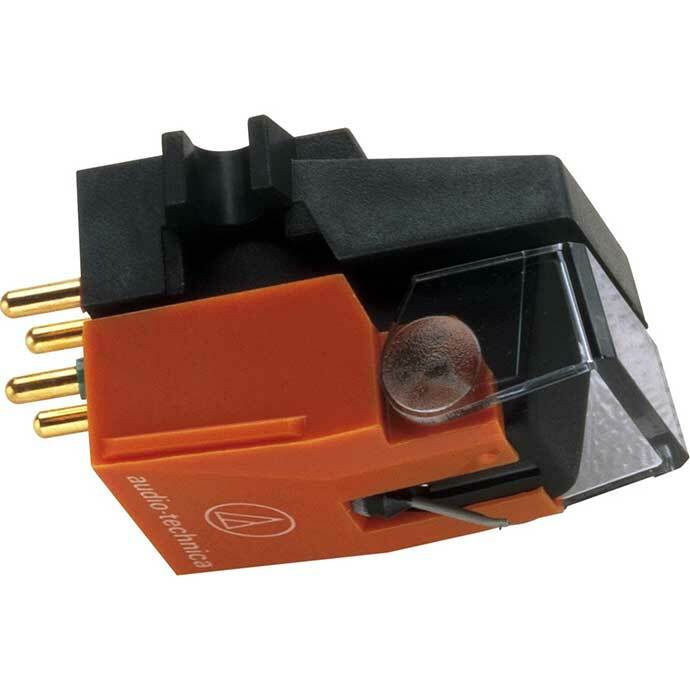 Today Audio Technica offers a several models of a MM and MC cartridges that are often best buy in its class, such as model AT95E. The best-selling and currently the most popular MM cartridge in the world. By the sound unsurpassed in its class. 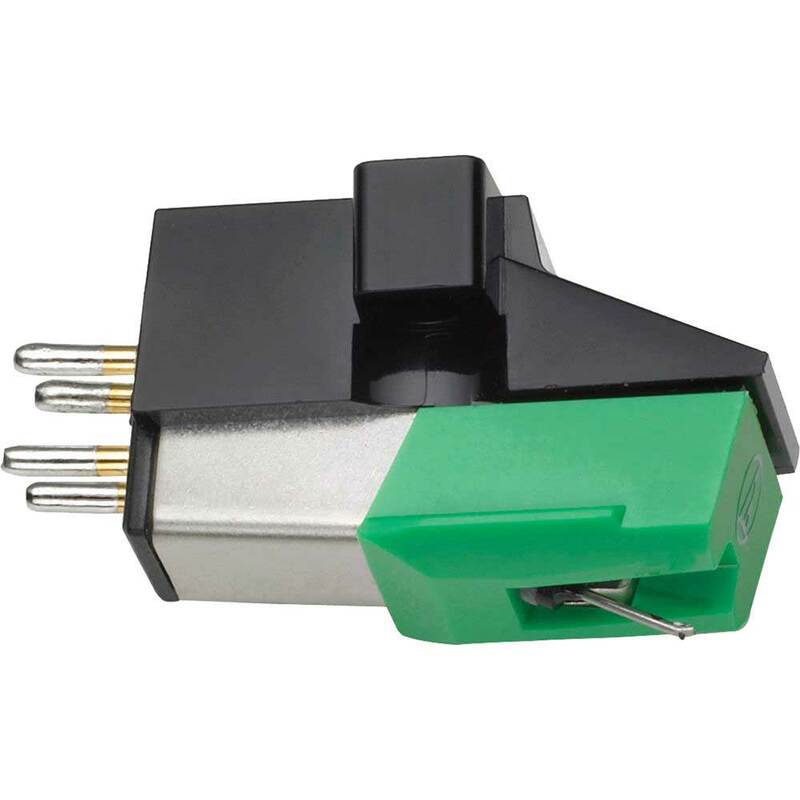 For a long time, the OEM version (instead of green, gray plastic) of this cartridge was sold as LINN K5. The only thing that is this cartridge manufactured by LINN company was three times more expensive than AT95E. In our market, can be found at a price of about 50$ (new). 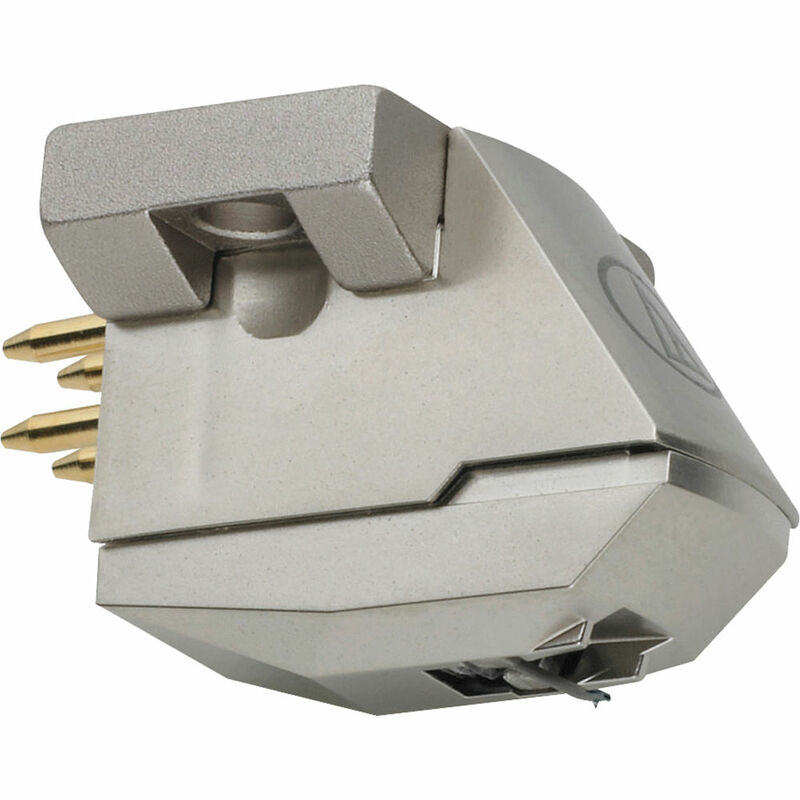 It is a great turntable cartridge that can be referred to anyone. We tried a lot of different turntables and tonearms/stylus, and in 90% of cases turned out to be impossible to buy such a sound for that little amount of money. The ideal cartridge for beginners and those who listen to the record player occasionally. Even if it is accidentally damaged or broken, the damage is measured in a few dozen of dollars. Middle class cartridge which is offered at a price of up to 100$ (new). As a next step after AT95E, this cartridge is characterized with a solid sound throughout the range, with emphasis on precision and stability of the sound image which is excellent for its class. Advanced dual MM cartridge that is on the market can be found at a price up to 300$ (new), which can be considered very reasonable. One of the best-selling MM cartridges in the world and probably the absolute Best Buy, judging by the extremely positive response of many users, as well as tests in the global audio press. It comes with a MicroLine needle which provide an excellent tracking with minimal record wear. It is a serious competitor to a cheaper Goldring (2100, 2200, 1006), Grado Prestige series and Ortofon 2M series by the sound quality an especially by the price. Today exists two versions of this cartridge: Audio Technica AT440MLa and Audio Technica AT440MLb. The 440MLb replaces the 440MLa. MLb has a slightly wider specified frequency response. They should both sound almost the same if not the same. Dual MC head of the middle class, which represent a serious competition with cheaper MC heads of other companies such as Denon DL110, DL160, DL103, and cheaper Sumiko and Clear Audio models. It can be found at prices up to 260 $. Dual Moving Microcoil Cartridge that can be found on the market at a price around 500$ (new). We have not had a chance to test this cartridge, but if we trust claims of popular audio magazines and forums, in combination with the appropriate tonearm and phono preamp – this is a top MC head. Another company veteran in the production of turntable cartridges. At the end of the 80s of the last century they kicked out on the market a serie 1000, which is unchanged untill today and it still produces. Particularly interesting are the models 1012gx and 1042nd. This great MM Cartridge has excellent tracking thanks to Gyger-2 needles, and is characterized by very precise and dynamic sound, which which reminds a little bit to AT440MLa. 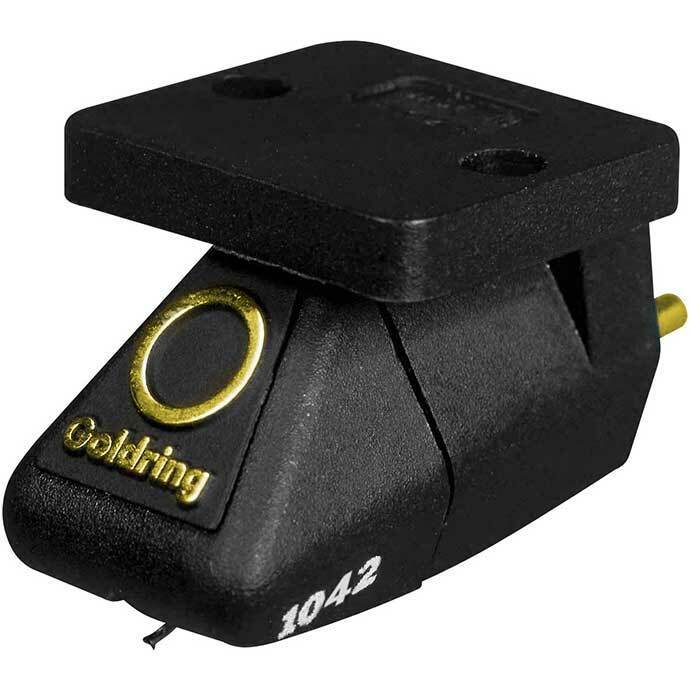 In addition to detail and great dynamics, Goldring 1042 will squeeze every last emotion on each record you offer to this great cartridge. It did not matter whether on the record player is Beethoven, Motorhead, Bob Dylan or James Brown, it will transfer to you exactly what they had to say. Absolute recommendation! 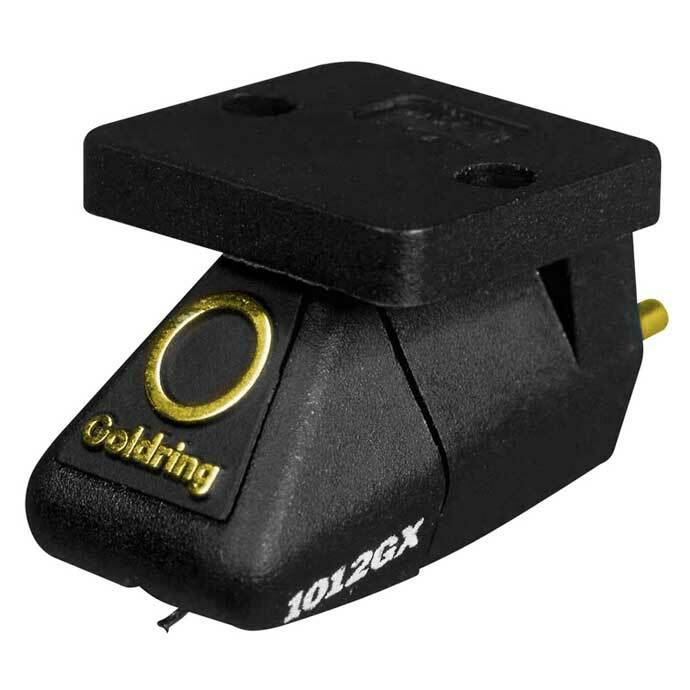 If you own RegaRB250/300 tonearm on your turntable or one of its many iterations (Origin Live, Moth, …) don’t think a lot since Goldring cartridges series 1000, especially 1012gx and 1042 makes the great combination with Rega tonearms. Goldring cartridges are a bit expensive in relation to the competition, but it is possible to find very affordable. 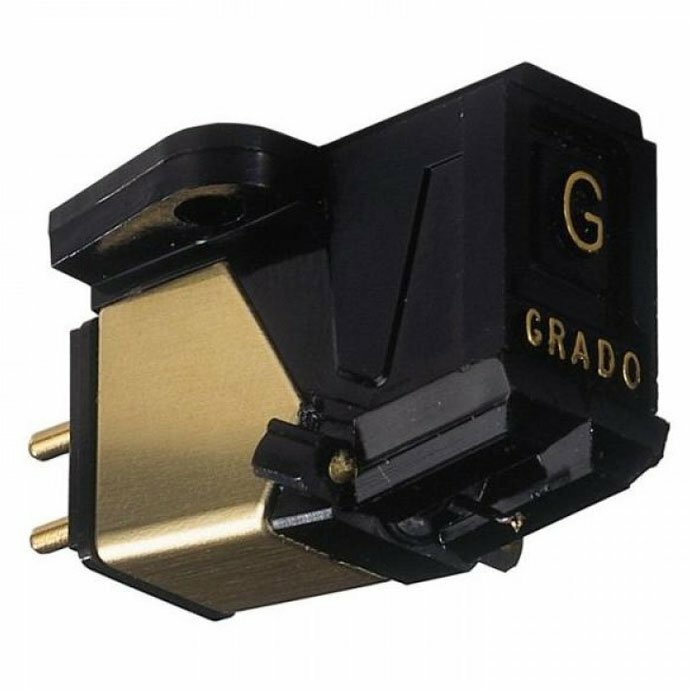 These cartridges are serious competition to AT440Mla, Ortofon 2MBronze / 2MBlue and Grado Prestige Gold. In a series of 2000, the best shopping in our opinion represent models 2100 and 2500. At the beginning of the 2000 series, the 2100 sets the standard for the entire series. Uniform sound image with enough emotion for its class. At a price, and the sound is very accurately positioned between Ortofon 2MRed and AT440MLa. For the model 2500, although expensive, it can be said that it is almost a Best Buy in its class. Crystal-clear high, impressive midrange area and deep defined bass, make this cartridge coping with all styles of music without problems. For more than half a century, the company Grado produces quality audio products and especially successfully headphones and speakers, of course. 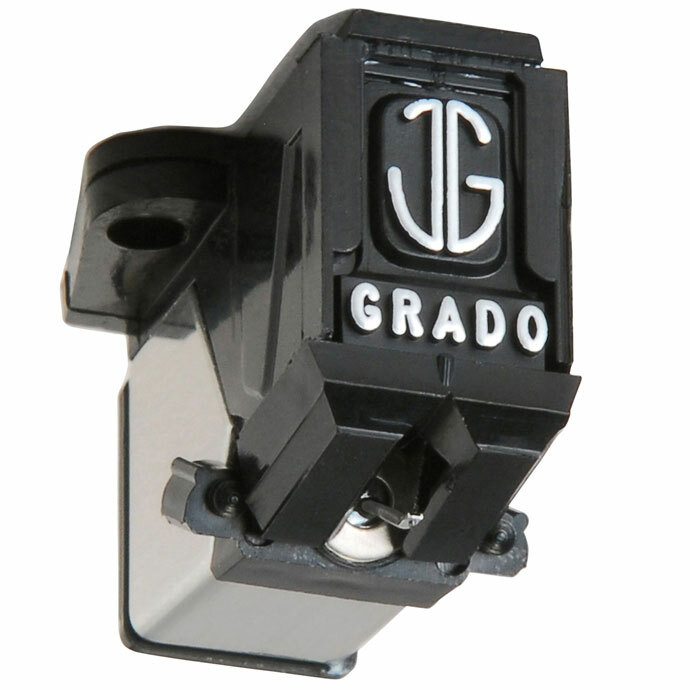 Certainly the most popular is Grado Prestige Series cartridge, thanks to relatively moderate prices. For some reason, we tested only the initial Grado Black and the best Grado Gold cartridge in the Prestige series. The main feature of both cartridges tested was very sweet and a pleasant sound. Probably this is also characteristic of other models in the series. Because of this the sound character of the cartridge is ideal for combining with the bright sound systems. Grado Gold mounted on a middle class turntable can provide a very nice result. It may sound strange but we’ve got a very nice result combined it with Rega300/Planar3. Jazz and especially female vocals (Diana Krall for example) sounded great. If you are bored with a sound from your speakers, Grado Prestige Series can be a step in the opposite direction. Probably the most popular brand cartridges with us, and thanks to a lucky set of circumstances, in the domestic market without interruption, despite sanctions, wars, crises and all the problems that in our last for a continuous period longer than twenty years. We will consider OM series MM cartridge, which is in our humble opinion too expensive for the sound that it provides. We’ll deal with a series of 2M which is fitted as standard on some new turntables (Pro-Ject) but it also has a very affordable price for the quality of sound that gives. A model 2MRed is already much spoken (audio websites and forums), the only thing we can add is that in our opinion this cartridge plays very good with a solid response throughout the range and the only thing we could resenting is somewhat lack of emotion. 2MBlue Phono Cartridge is 2MRed on steroids. A detailed midrange (vocals sounds great), with no hint of sharpness in the treble and bass with which gives it a solid basis. The only drawback is slightly narrower stage. It is fully consistent with modern production. Roughly reveals all the mistakes made in the process of recording and production. 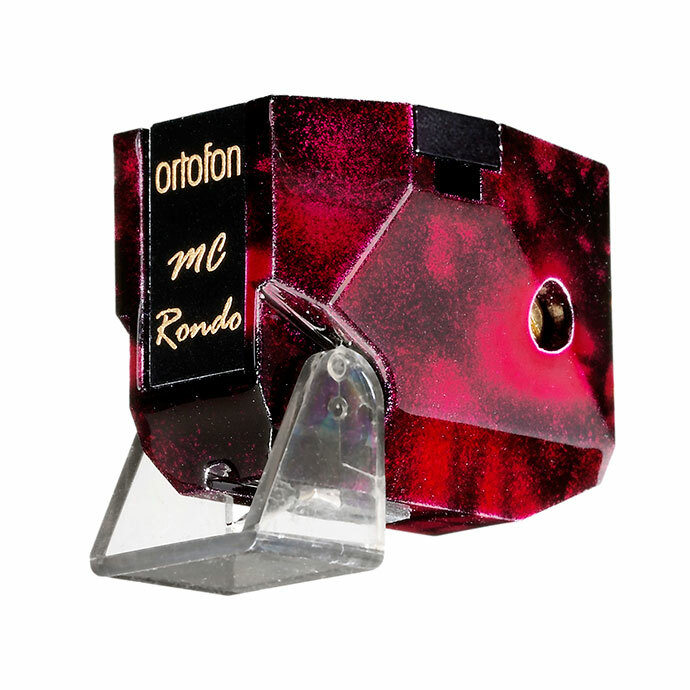 For all fans of MC cartridges we’d like to draw your attention to an excellent Rondo series. 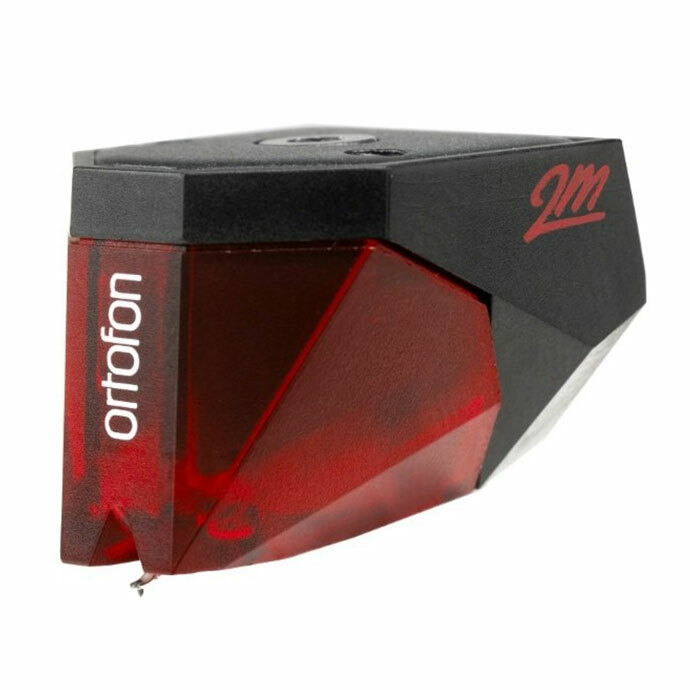 Rondo RED, the first in the series is probably the Best Buy Ortofon cartridge. The winning combination consists of natural mid range, precision and at the same time unobtrusive high and very deep defined bass. With mating quality MC preamplifier these cartridges can provide the years of enjoyement in good music, regardless of whether you are listening to classical music or speed metal.